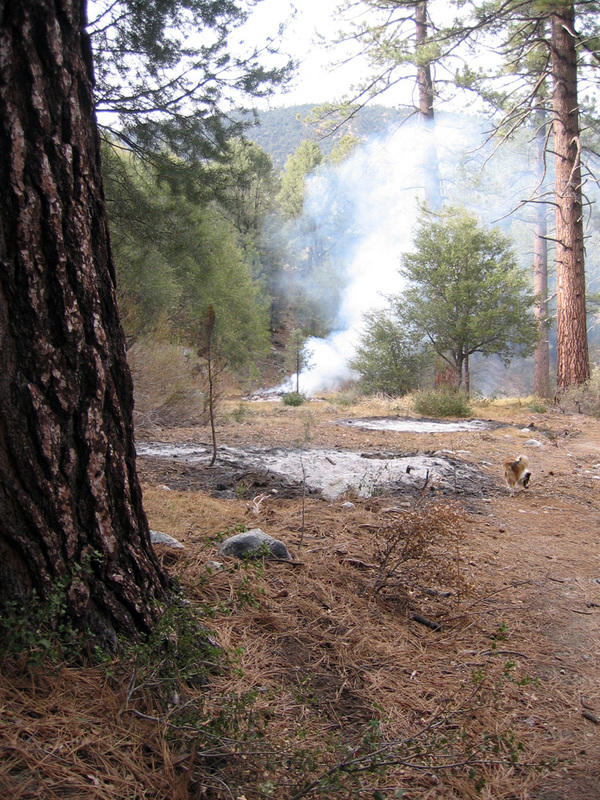 In mid-March, I noticed smoke rising from the green belt. 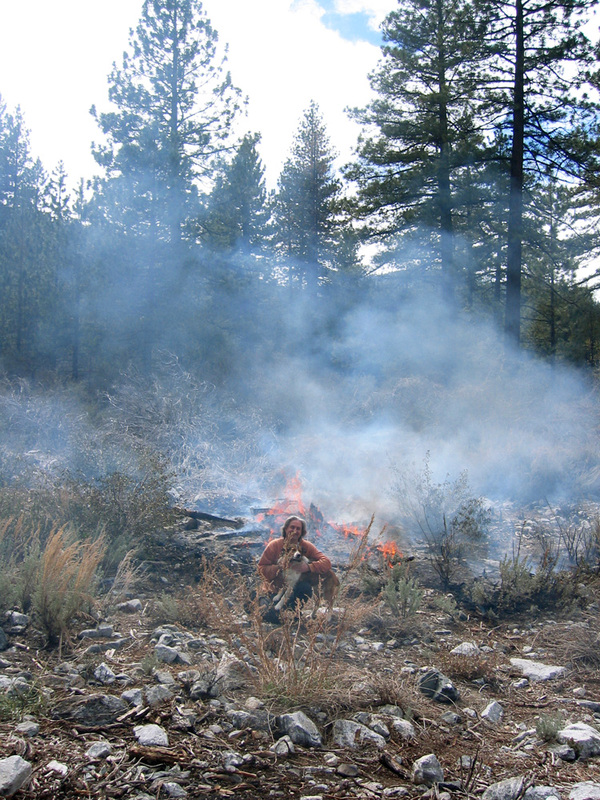 I rushed to the spot, only to find a couple of dozen firemen there lighting fires. Not what I was expecting to see. 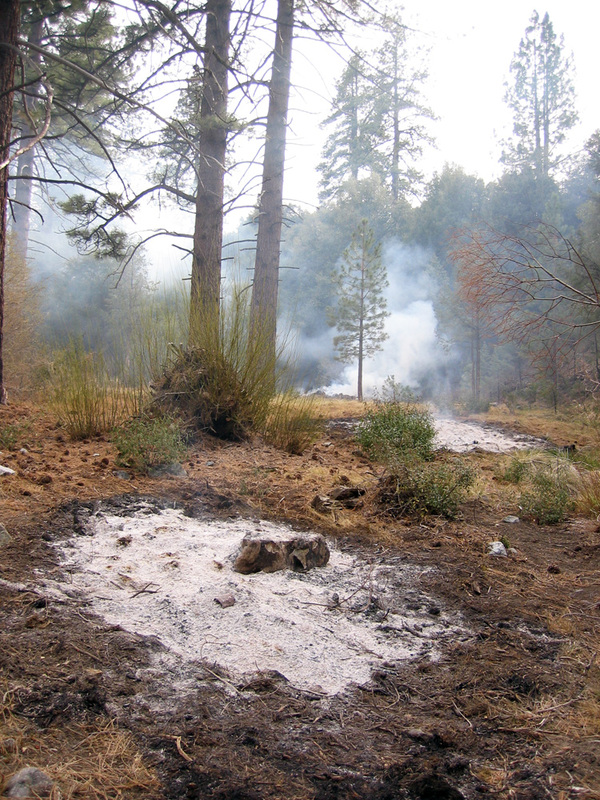 They explained they were contracted to clear the area to slow down the spread of potential wildfires, and therefore make it easier to control and/or extinguish them. The following photographs were taken on March 16th & 17th, 2005. 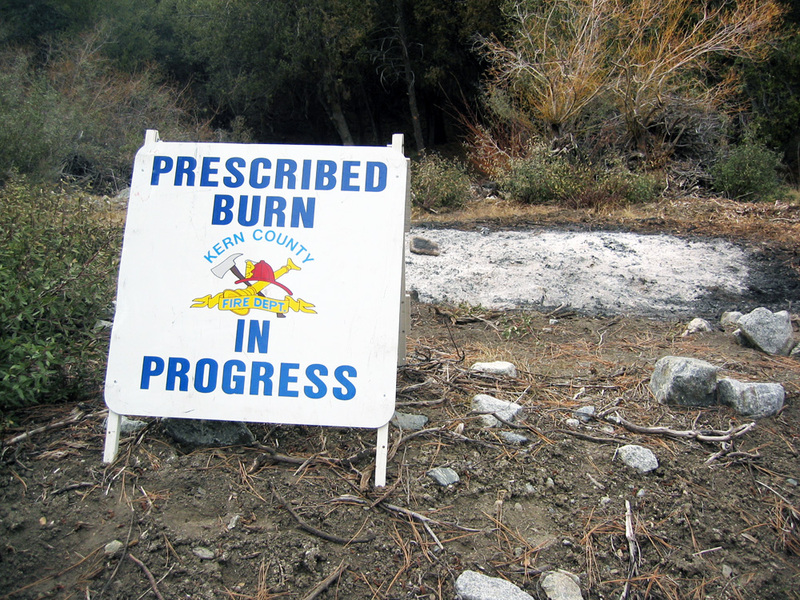 (115) ^ ^ ^ ^ An official prescribed burn. 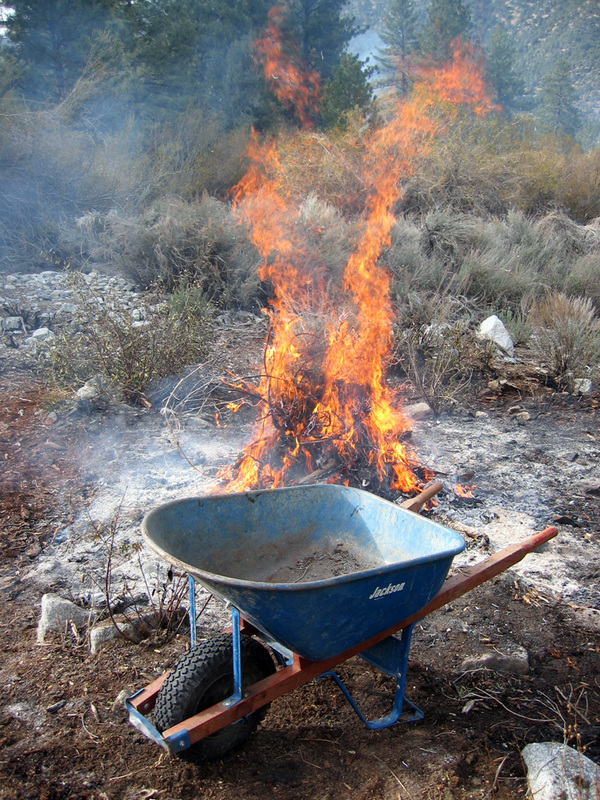 (116) ^ ^ ^ ^ The lower branches of trees were trimmed and gathered up, especially any dead branches. 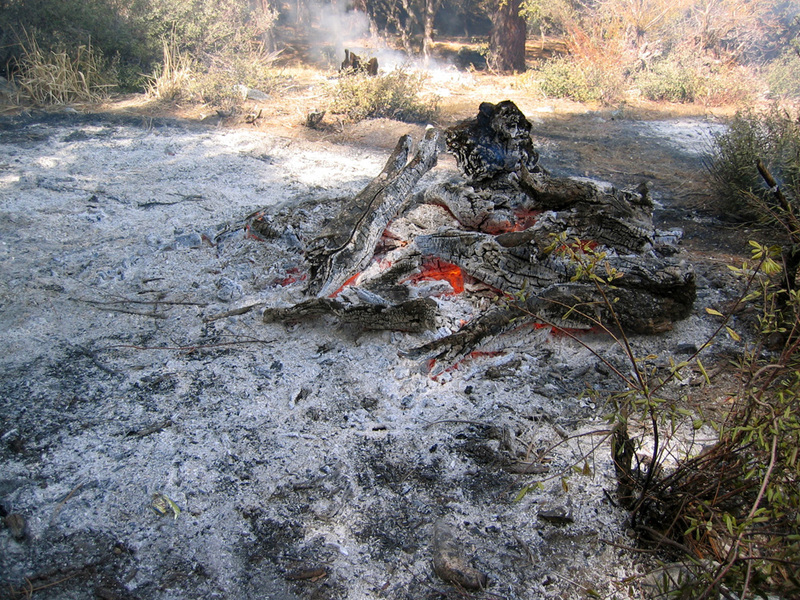 (117) ^ ^ ^ ^ Potential fuel on the ground was gathered into piles a burned. (118) ^ ^ ^ ^ This is a pile of debris the neighbors had made from trimming their lots. The firemen agreed to include it in their burn program. 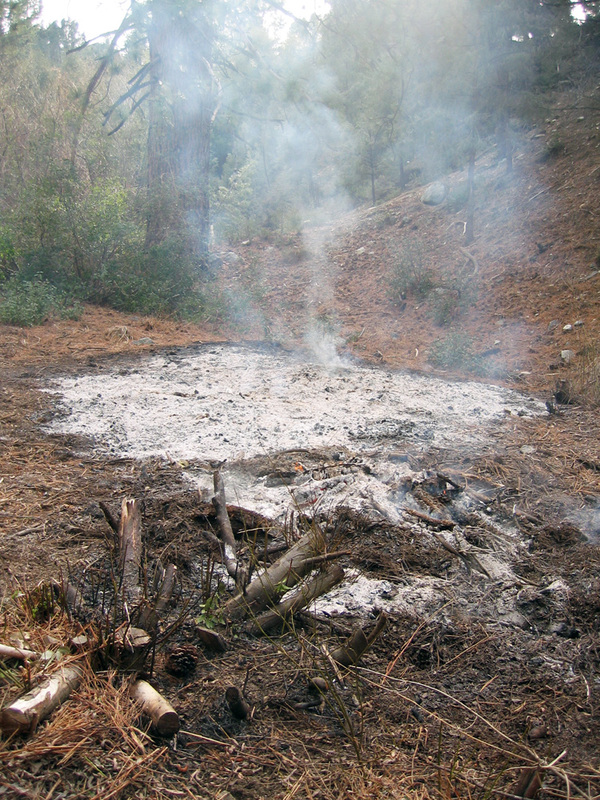 (119) ^ ^ ^ ^ I stoked the burning pile regularly to reduce everything to ashes as quickly as possible. (120) ^ ^ ^ ^ After the fire crew had left for the day, I kept a watchful eye on things. 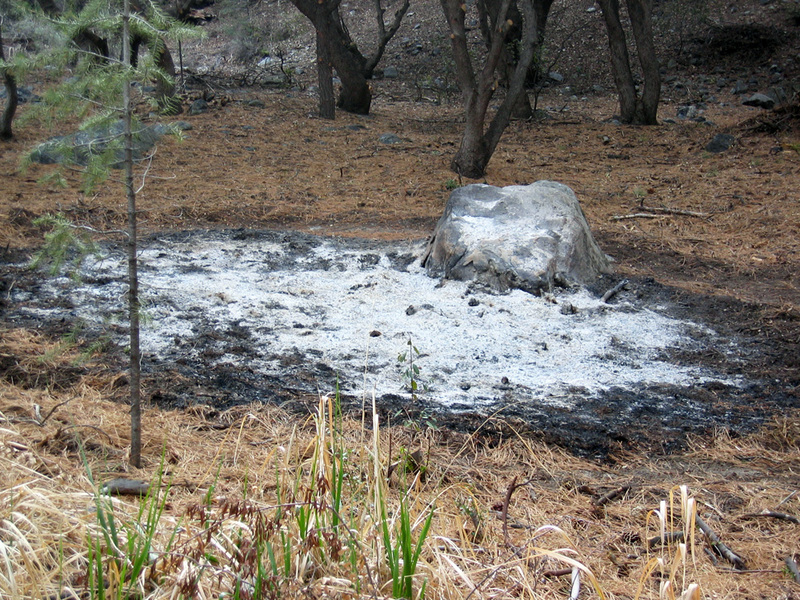 (121) ^ ^ ^ ^ The pile in the background smoldered for many days. 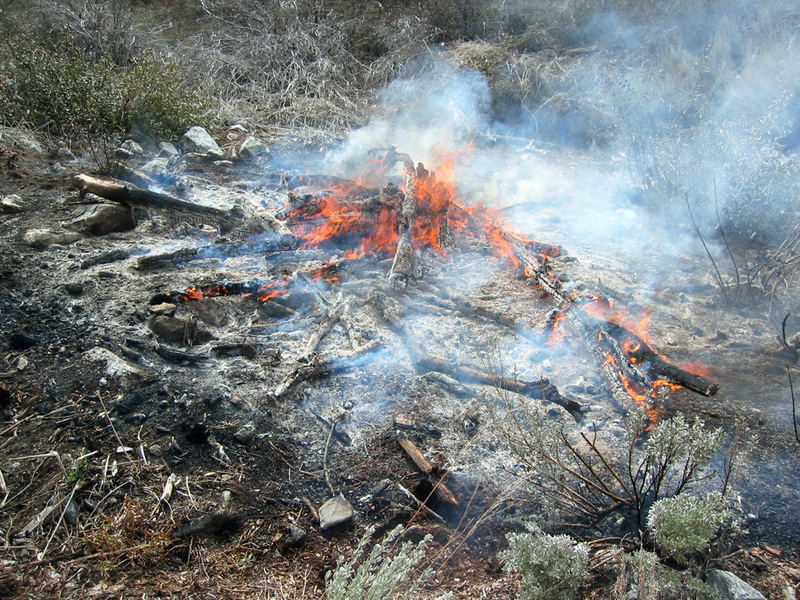 (122) ^ ^ ^ ^ This burn almost complete and the burn pile starting to cool. 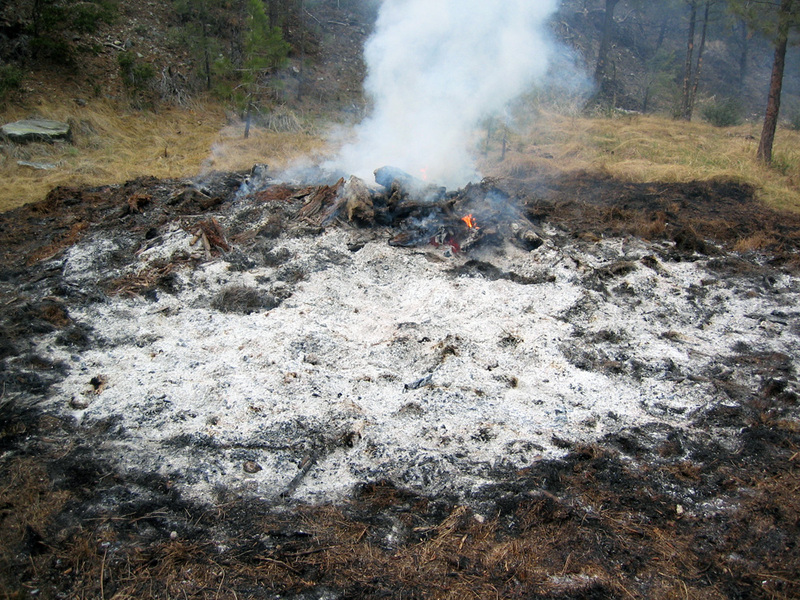 (123) ^ ^ ^ ^ Dead and decaying roots made this pile burn considerably longer than the others. 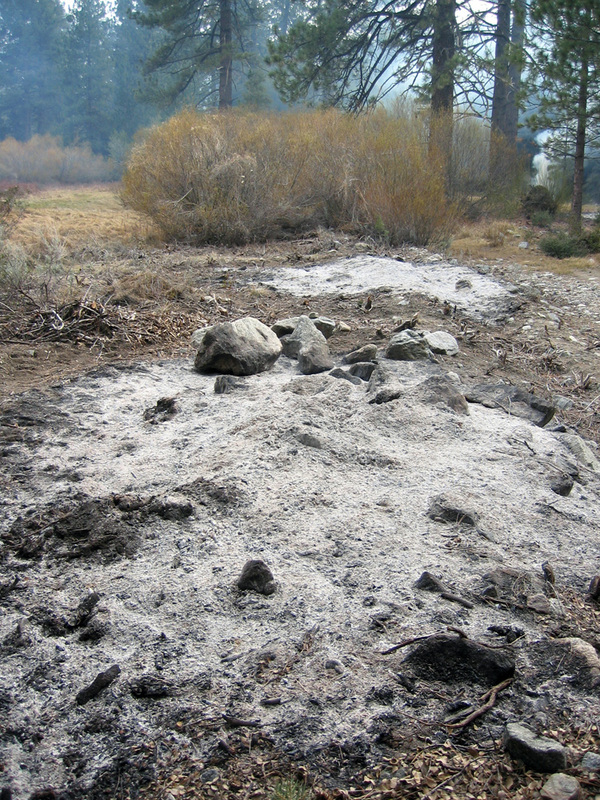 (124) ^ ^ ^ ^ The pile in the background smoldered underground for about a week. It was eventually extinguished. (125) ^ ^ ^ ^ This is the desired result. 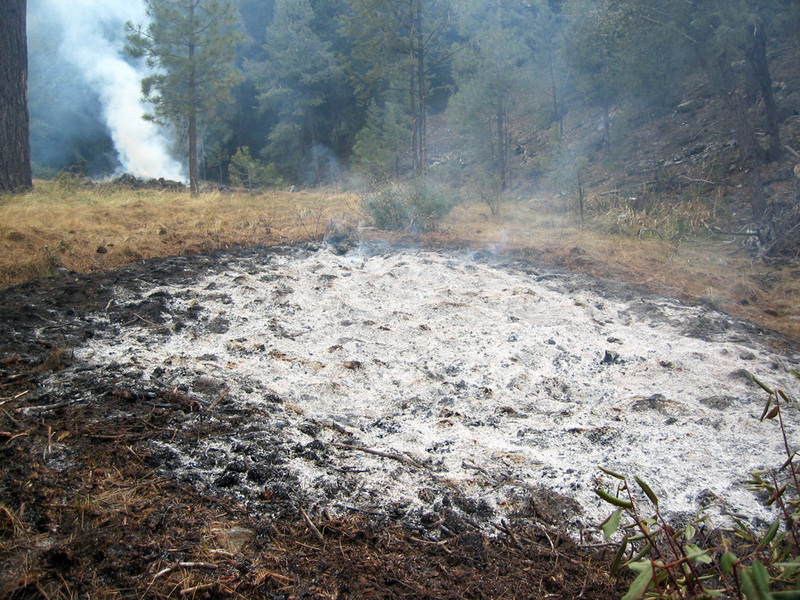 (126) ^ ^ ^ ^ After the ashes cool, the area becomes safe.